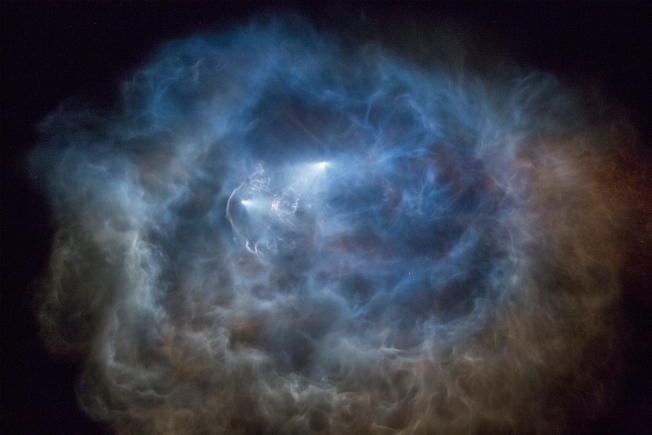 The SpaceX Falcon 9 rocket, right, separates from the space craft behind the rocket trail after launching from Vandenberg Air Force Base carrying the SAOCOM 1A and ITASAT 1 satellites, as seen on Oct. 7, 2018, near Santa Barbara, California. After launching the satellites, the Falcon 9 rocket successfully returned to land on solid ground near the launch site rather than at sea. The satellites will become part of a six-satellite constellation that will work in tandem with an Italian constellation known as COSMO-SkyMed. Hawthorne-based SpaceX has again postponed a planned launch of its SpaceX Falcon 9 rocket from Vandenberg Air Force Base for a mission dubbed Spaceflight SSO-A: SmallSat Express. This is the third time the launch has been postponed. The other announced delays were to accommodate additional pre-flight inspections and another due to weather. The latest SpaceX Falcon 9 launch had been scheduled for liftoff at 10:32 a.m. Sunday while carrying not one, not two, but 64 satellites on what was billed as a "ridesharing'' mission. "It includes 15 microsats and 49 cubesats from both commercial and government entities, of which more than 25 are from international organizations from 17 countries, including the United States, Australia, Italy, Netherlands, Finland, South Korea, Spain, Switzerland, UK, Germany, Jordan, Kazakhstan, Thailand, Poland, Canada, Brazil and India,'' according to Spaceflight Industries. Following separation, SpaceX would attempt to land the rocket's first stage on a droneship stationed in the Pacific Ocean. 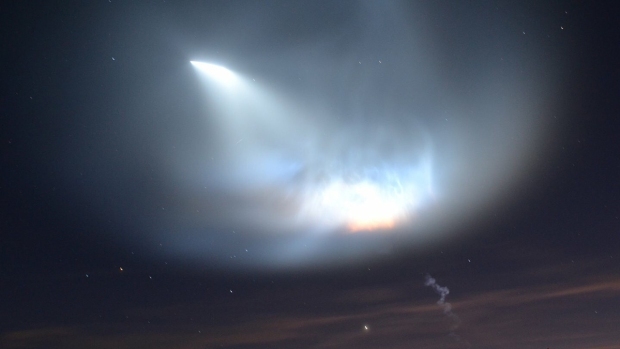 Previous SpaceX launches from Vandenberg have created impressive light shows over the Southland and the entire southwestern United States. On Nov. 15, SpaceX launched a Qatari communications satellite into orbit from Kennedy Space Center in Florida. When it finally occurs, this new mission from Vandenberg will be SpaceX's 19th launch of the year. Meanwhile, the company is tentatively scheduled to launch a resupply mission to the International Space Station on Tuesday from Cape Canaveral.